When planning a corporate party, you want your guests to have a great time. You don’t want it to feel like another boring meeting, nor do you want the event filled with awkward icebreakers and cheesy games. It needs to be enjoyable, as well as memorable! Incorporate casino games into your night and have people gamble with fake money. Plus, you can have prizes for winners. Encourage employees/guests to dress up like characters from whatever era your murder mystery is taking place. You can make the game yourself or you can hire a murder mystery company to arrange everything. Time to hire a DJ! The 80s was by far one of the most memorable decades when it came to fashion. So be sure to encourage guests to arrive in their crazy leg warmers, bulky shoulder pads and tight, acid-wash jeans and neon clothes. Host a color themed event! Choose a color that is easy for everyone to find in their wardrobe, like black, grey or white. Rent modern lounge furniture and add pops of color to bring a little life to the party. Bring out the inner child in your employees and watch serious faces turn into smiles and laughs with a carnival or circus themed party. Popcorn machines, cotton candy stands and hot dog vendors are sure to bring this party alive! Rent some throwback fair games and watch your staff challenge each other to games they haven’t thought about since they were kids. A masquerade event is one that is truly elegant and exciting for all. It’s a chance to step out of regular/everyday work attire and into something elegant and formal. The idea of the ‘masked identity’ allows staff to interact with employees of all levels as they must chat to decipher the person behind the mask. If you want to treat your staff to an unforgettable event experience, look no further than Pez Productions! We’ll provide all of your music, event entertainment and technology-related needs. You can count on us to entertain your guests throughout cocktails and dinner and keep them dancing into the night. 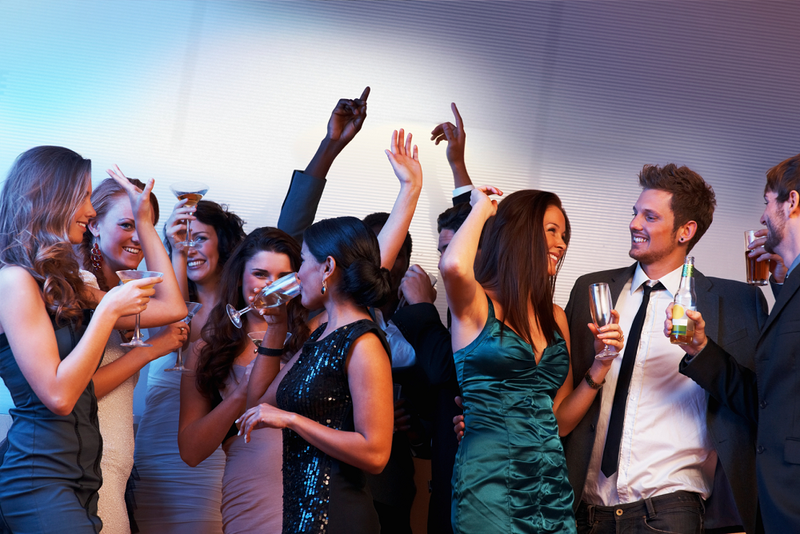 Whether it’s a formal or a relaxed occasion, we are positive you will you’ll have a good time!